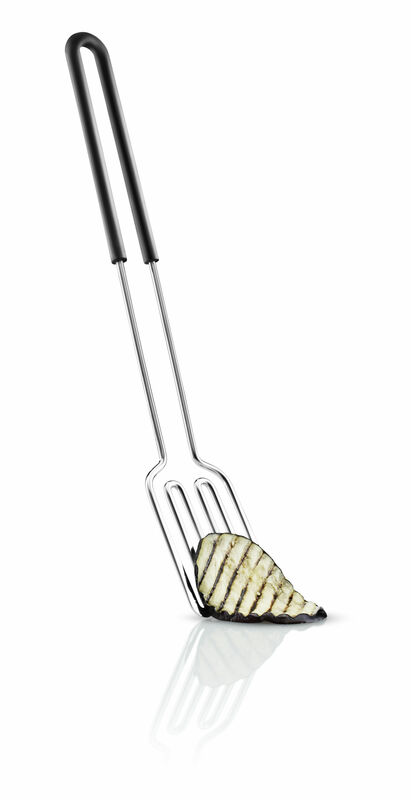 Eva Solo's grill spatula makes light work of turning steaks on the grill. 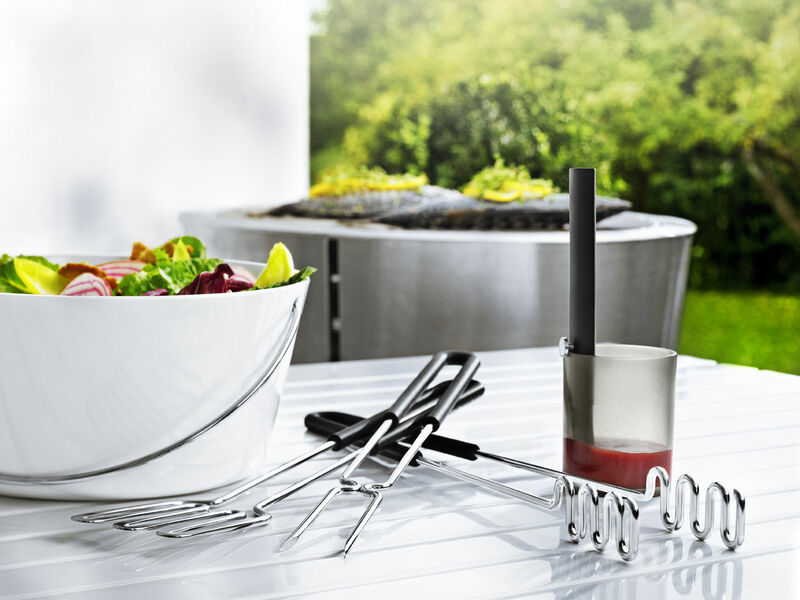 The ends of the spatula are flat, so it slides easily under the food which is barbecuing. 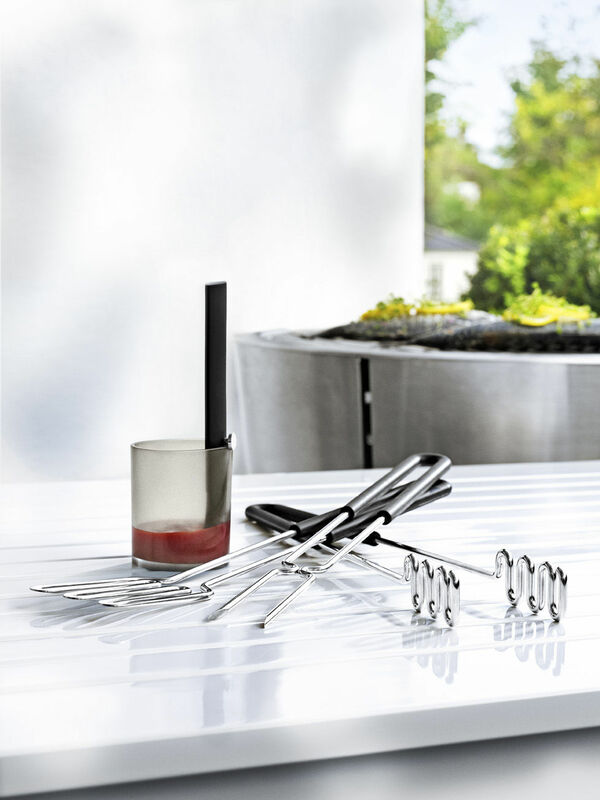 The spatula is made of stainless steel with a heat-resistant silicone handle to ensure a good grip while preventing burnt fingers. The spatula measures 41 cm in length. Dishwasher-safe.